I am sure some of you have already heard but I wanted to post about it anyways. Qmee is now available in Canada :)! The cool thing about this is that there is no cash out minimum! So you can cash out any amount in your Qmee piggy bank. 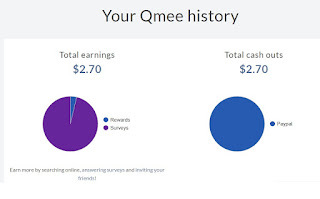 The first day I used Qmee I did earn on a search I did but after that for some reason I wasn't earning that way. 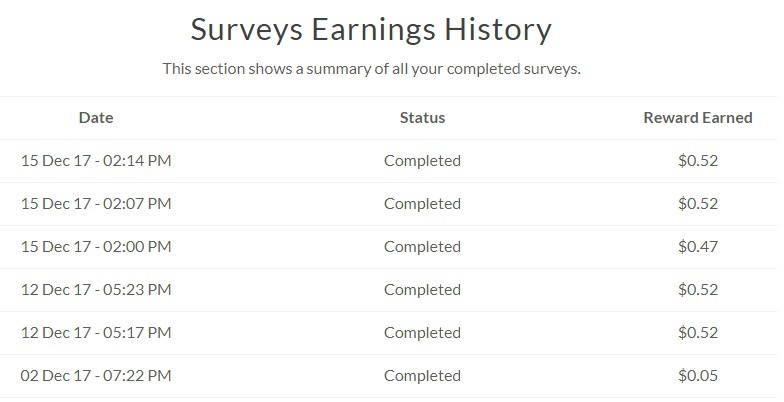 So surveys has been my go to earning method. I have done research online and the chrome extension for Qmee appears to be working. Regardless I do not mind because money is money and at the end of the day it is extra cash. 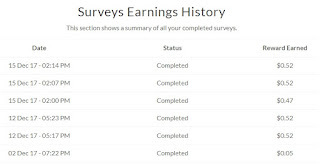 This is just to show the surveys and what they pay. The other day I did have something frustrating happen though which hasn't happened to me in a long time. I had a survey which I finished or thought I did that seemed to time out. It was just a 52 cent survey but still, it took a bit to do so I was not happy. The rest have all worked fine though. Sadly Qmee is not International though. At current Qmee is open for residents in the UK, USA, Canada and Australia. 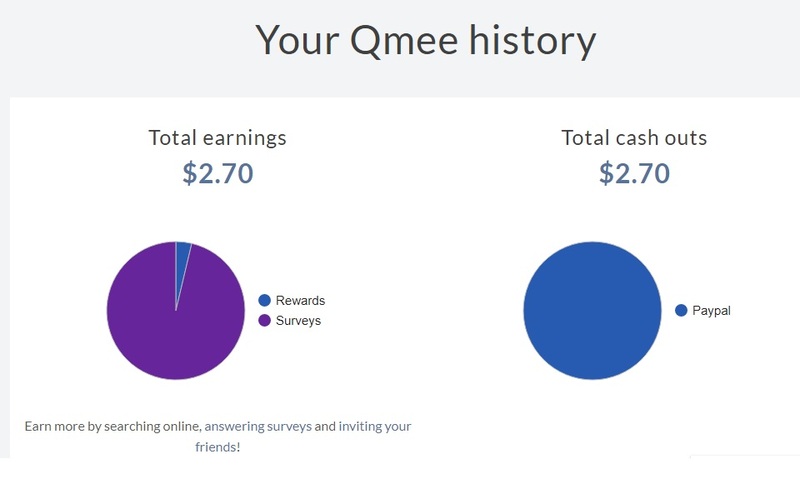 There is no cashout minimum luckily so you can cash out any amount in your Qmee piggy bank. 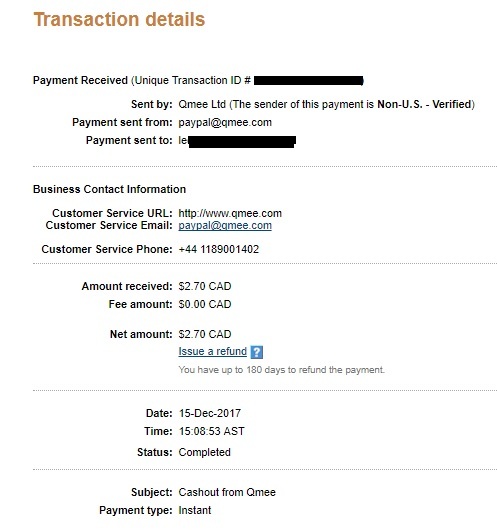 In order to cash out though you must link your Paypal account to Qmee. Once you do your first cash out to Paypal then an option unlocks I believe for gift cards if you would prefer that method. After you join Qmee you cannot invite friends right away. You need to use it for a while and then you will get a tab on Qmee for "referrals" I also got an email informing me I could invite friends. They also have a unique invite option. 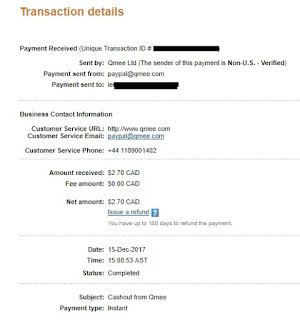 So as you can see you have the option to split what you get for your friend joining which is cool or even giving it to them 100% And here is my payment proof. If you have any questions please ask in the comment section. Happy earnings!